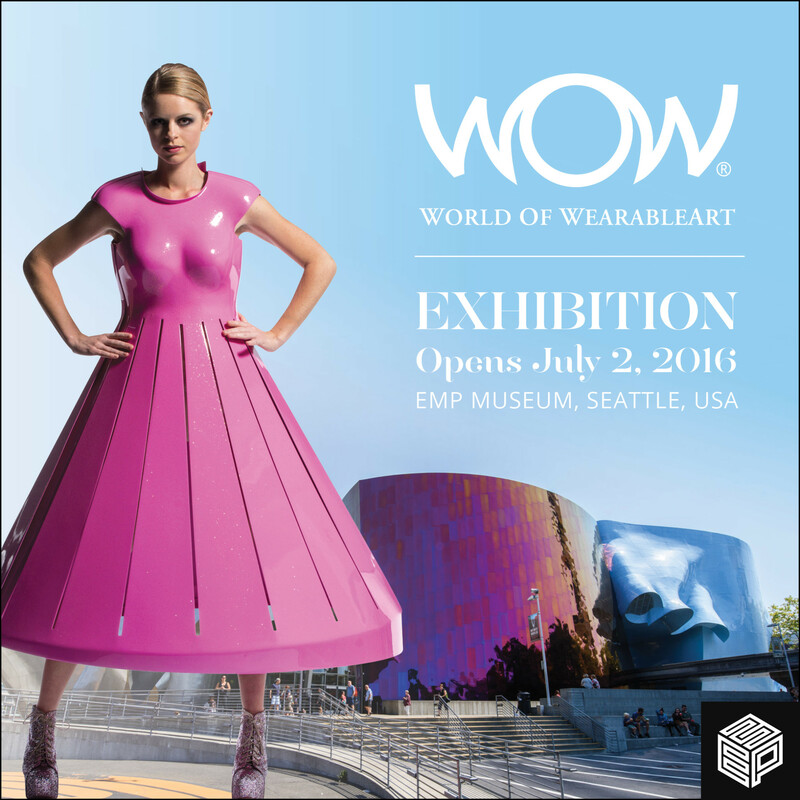 A month ago we got an email from our amazingly artistic friend Cynthia Toops inviting us to a party with a World of WearableArt (WOW) theme. 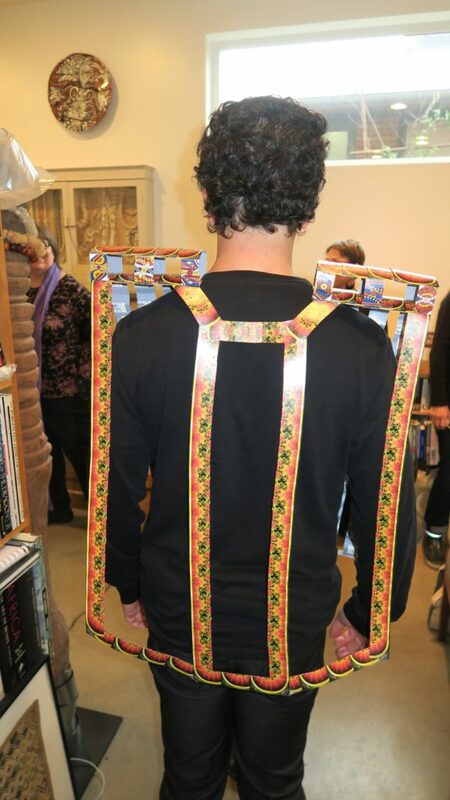 The WOW is a wonderful yearly design competition organized by a group in New Zealand where folks create incredibly unique, fanciful, crazy pieces of…well…wearable art! I can’t recommend it enough – so many fascinating designs! If you click the link above, I promise you won’t regret it. The exhibit made it’s US debut here in Seattle! 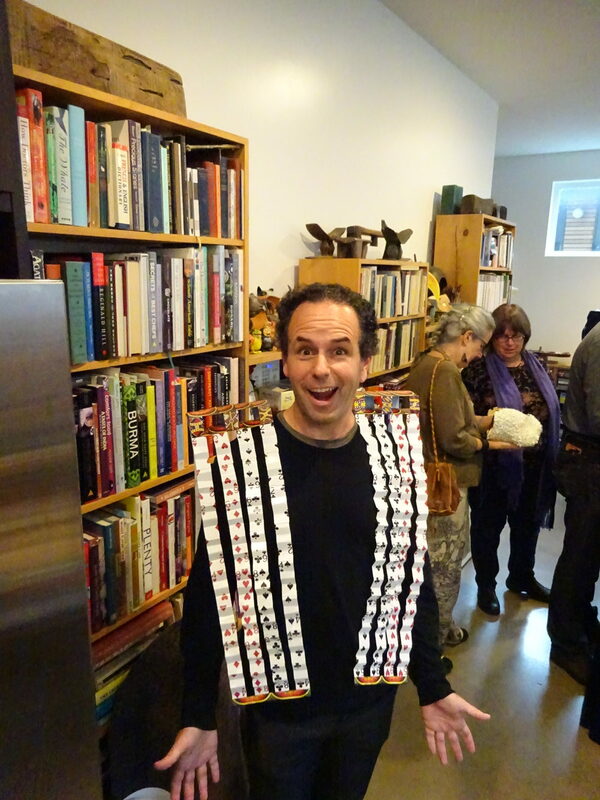 For the party, each guest was asked to create their own Wearable Art piece to show off. 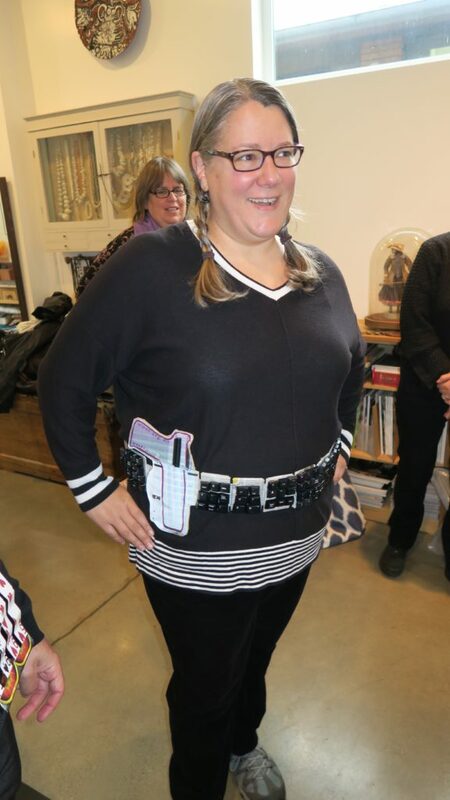 I have to admit, we were a bit daunted after seeing some of the over-the-top WOW pieces, but decided to take this on as our own version of the Unconventional Materials Challenge from Project Runway – out absolute favorite challenge. We both pondered concepts and I think our designs turned out pretty darned impressively! 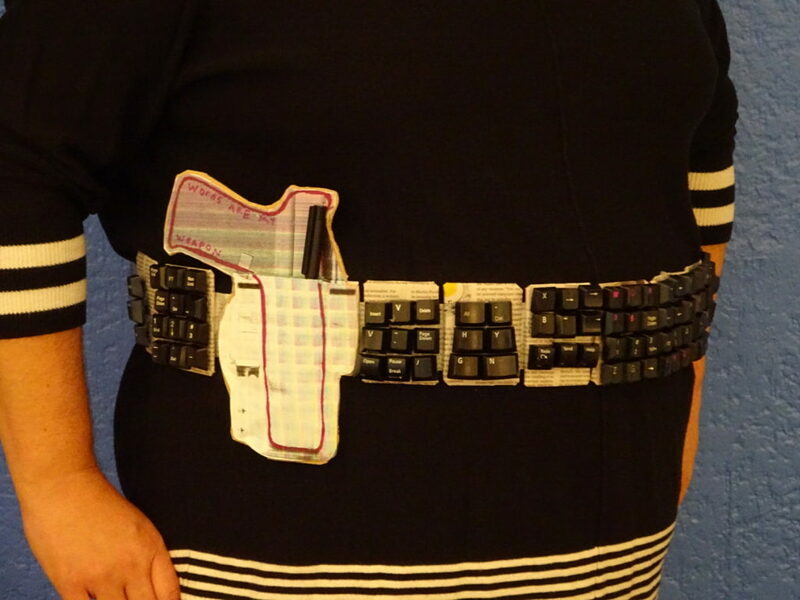 Anner chose to use keyboard keys for her creation and settled on the idea of making herself a “gun belt and holster” with a pen as her gun and the keys making the belt. She entitled it ‘Words Are My Weapons’ and ROCKED it! 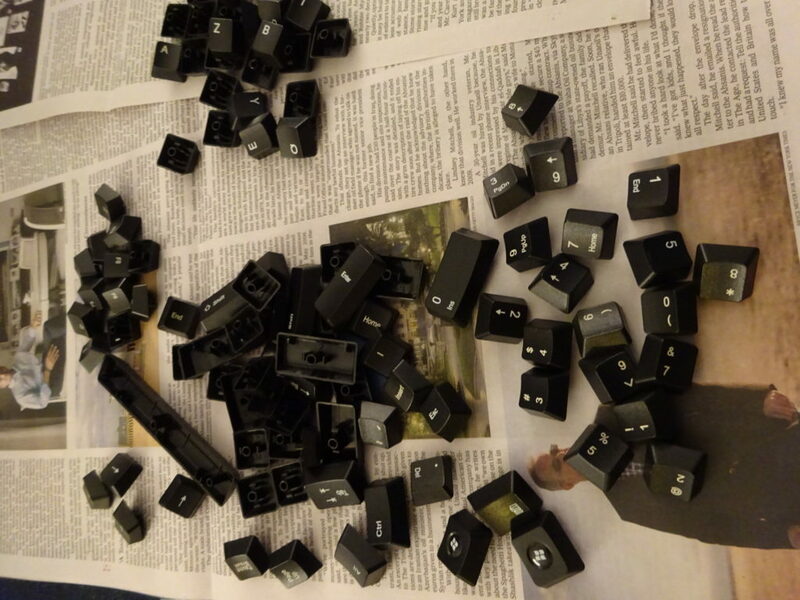 We begin with the Ritual Removal of the Keys. There’s words in there somewhere, I just know it! 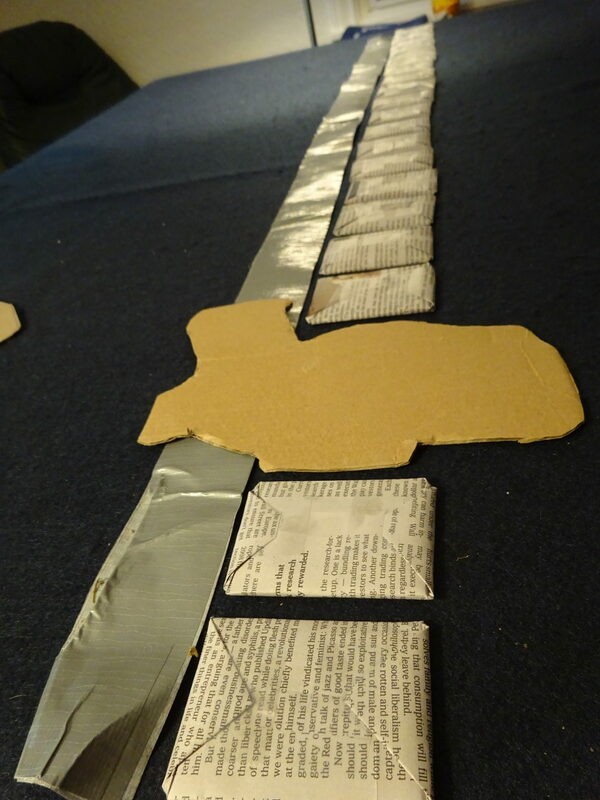 A little duct tape, cardboard rectangles sealed in newspaper, the silhouette of a holster…now we’re getting somewhere! Put it all together annnndddddd….. Words Are My Weapons with a mighty pen! Anybody else see a bit of Han Solo coming through?? Blaster at the ready! Anner showing her stuff at the party. 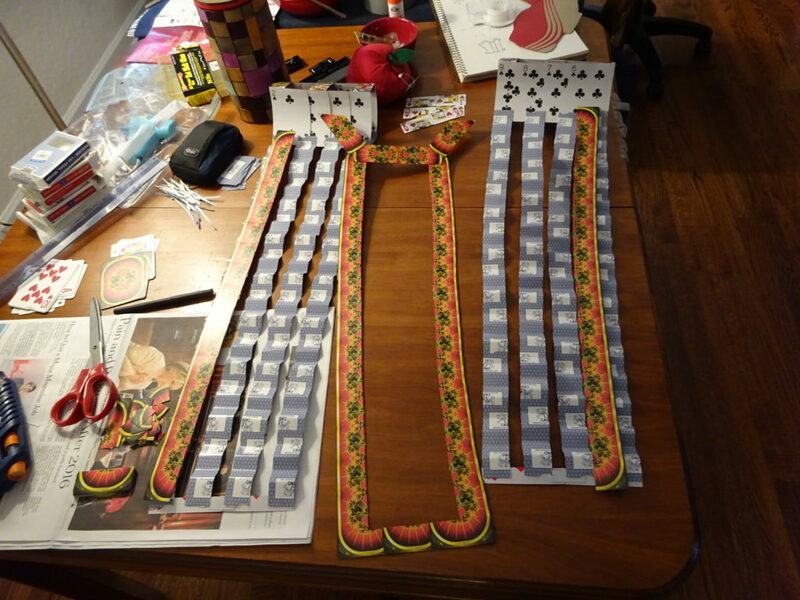 Me, I found some decks of playing cards which I cut up and shaped to make my ‘Double Decker Croupier Vest’. Two decks = double decker. 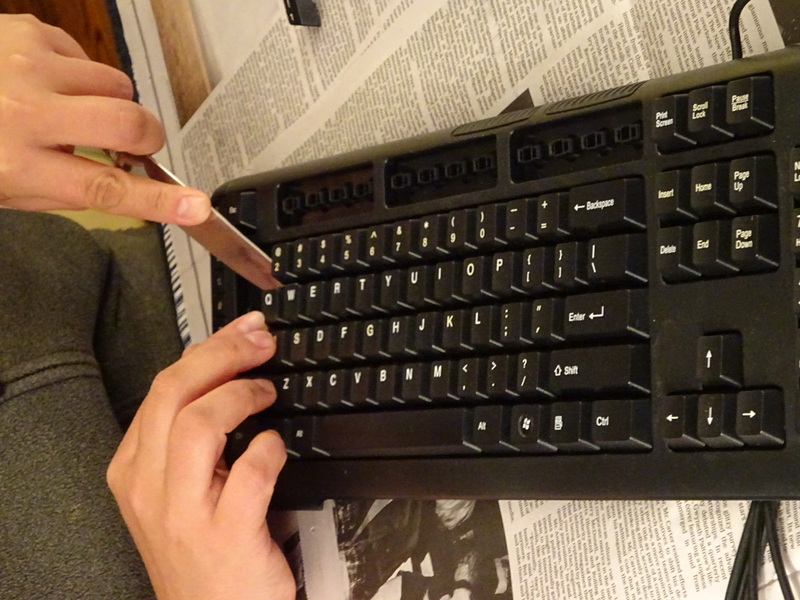 Yep, we’re oh-so-clever that way. 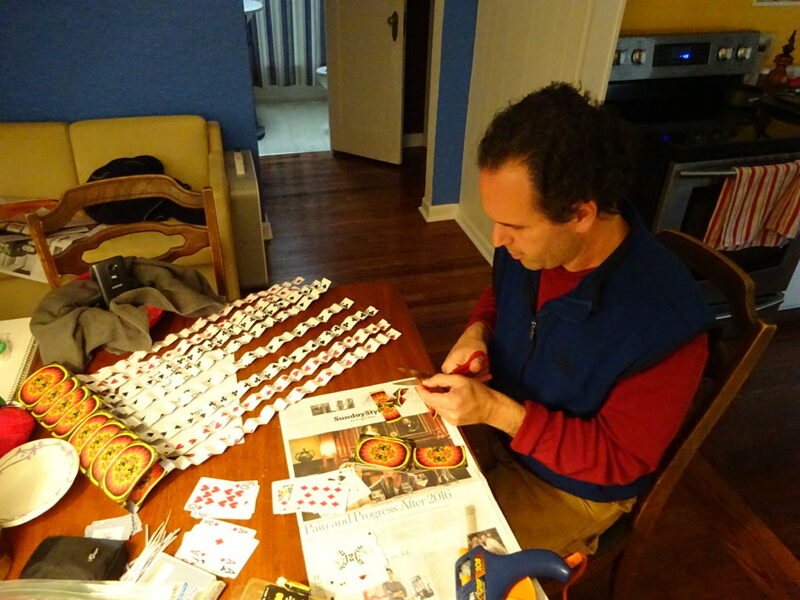 A lot of figuring angles…which only sort of worked the way I imagined. 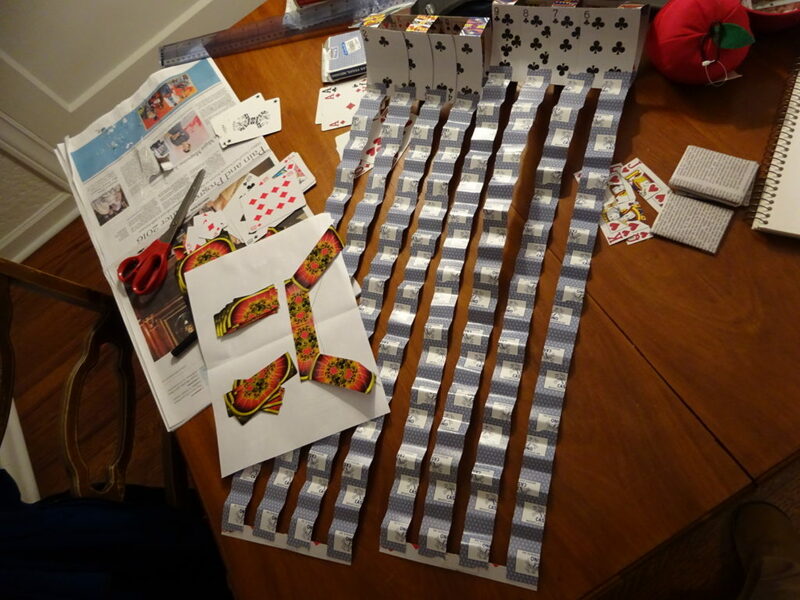 Lots of pieces – the front had folded cards, the shoulders were the real double decker and the back utilized one of the decks’ designs. Showing things off at the party! The back and shoulders really hit the mark for me. Quite pleased with the silhouette they created. Not bad, eh? I think we definitely stood out at the party. We weren’t alone, of course. Want to see a few of the other pieces folks created? This fellow’s Key Hat weighed a good five pounds or so. 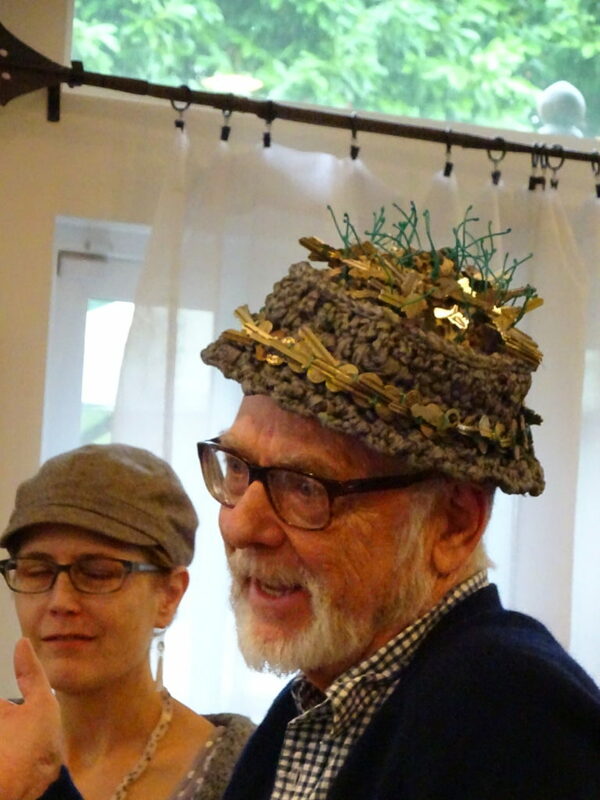 Yes, he did crochet it himself! 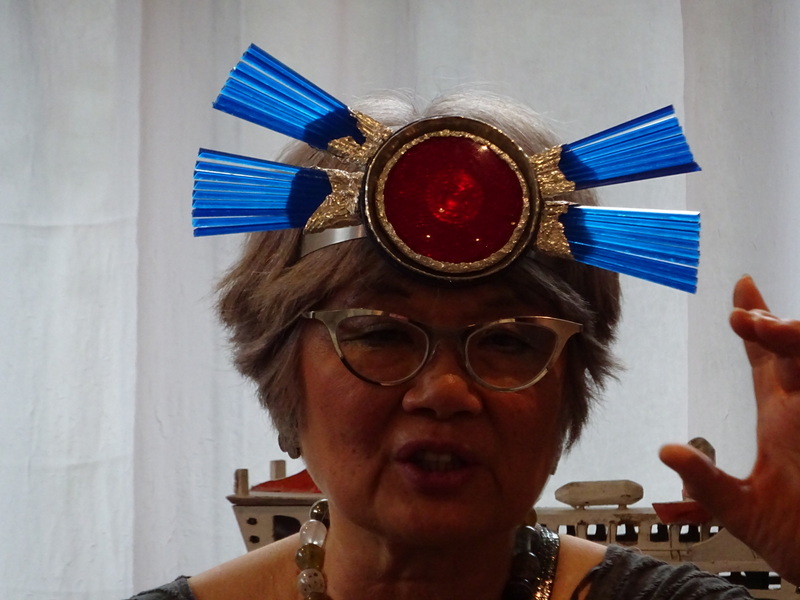 Nadine created this headpiece using a reflector and other recycled pieces. We look forward to seeing the rest of her superhero costume! A number of folks did drawings directly on fabric. 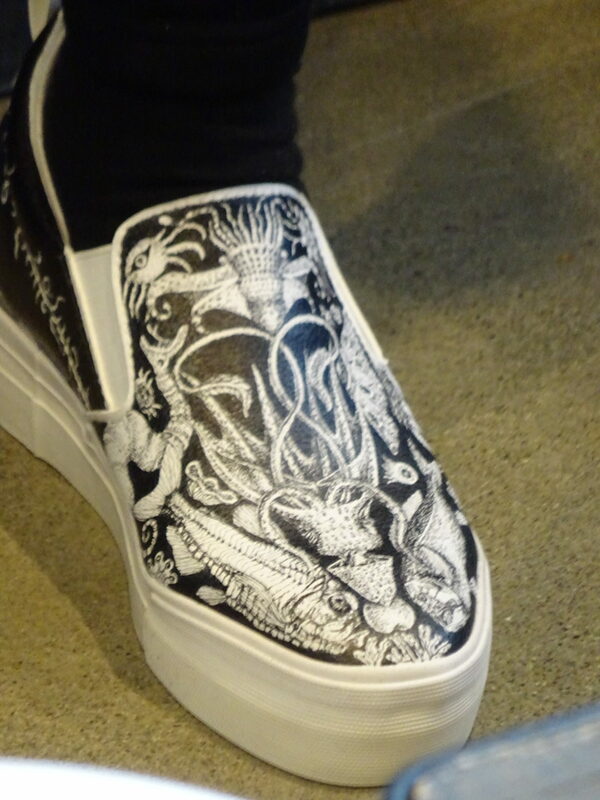 These were originally all-white slip-ons. Fabric pens and Sharpies brought these nautical creatures out of hiding. 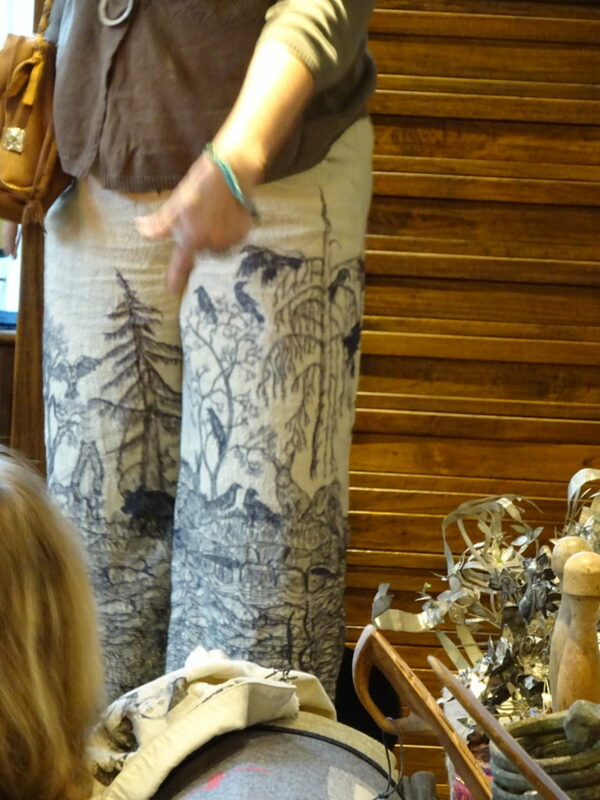 A Sharpie forest scene came to life on this party-goer’s pair of pants. 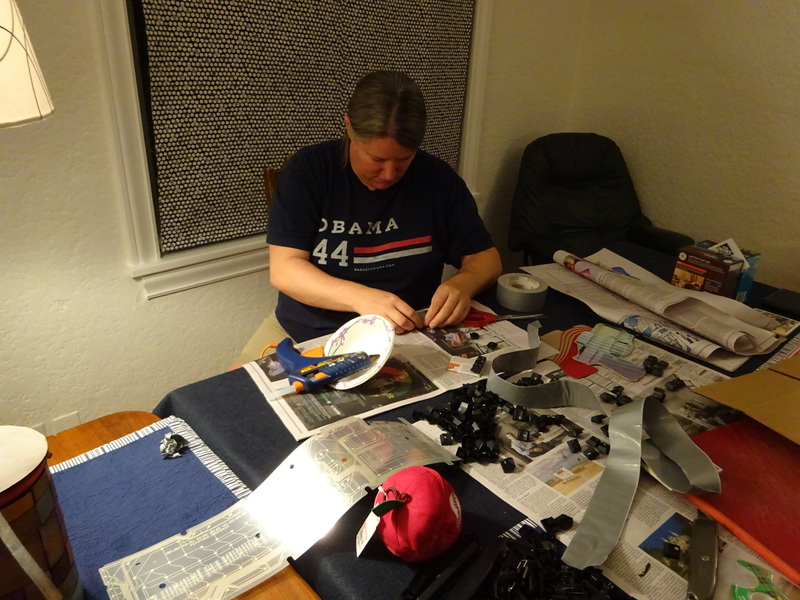 And finally our host showed off multiple pieces. 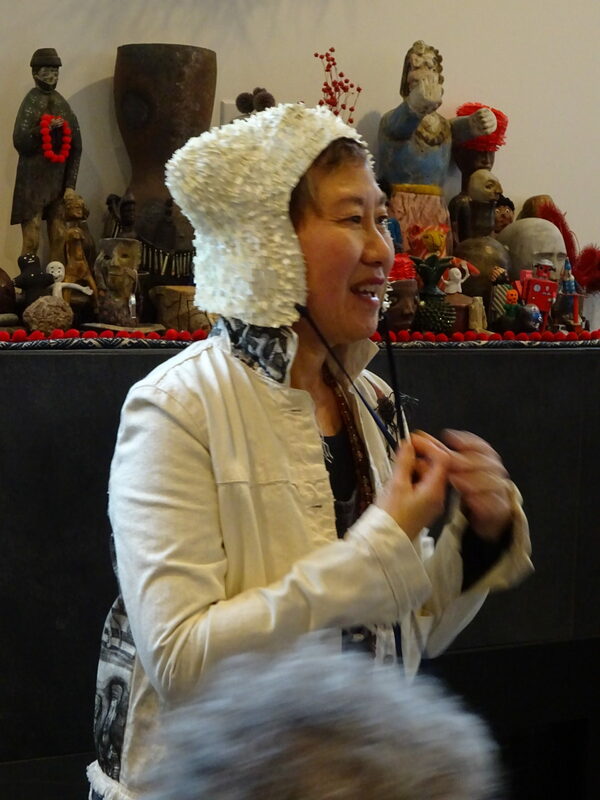 She had also done drawing on fabric as well as this wonderful hat made from masking tape! 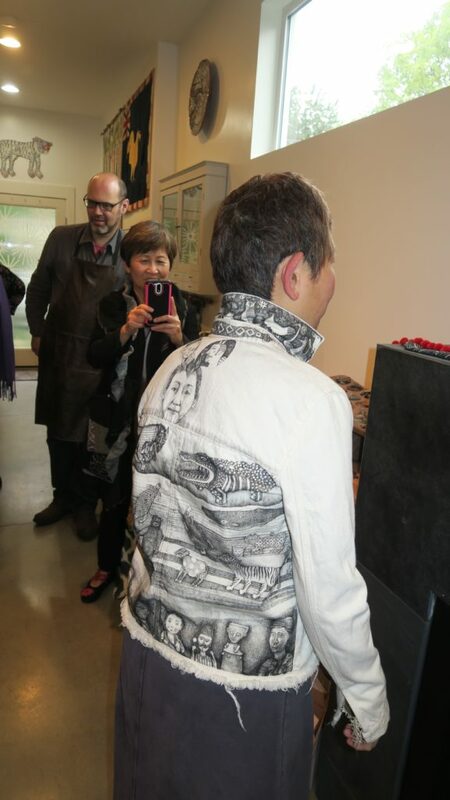 Cynthia’s jacket was pretty much amazing. Overall, a fine first showing for us Wearable Art newbies. Wonder what it’ll inspire next??? « World’s Best Ice Cream Social – 2017 Edition! We certainly did our best to make it that way! No serious-ness for us, nosiree. You two never fail to impress me with our artistic ability and willingness to put yourselves out there in new places with new ideas. You so definitely rock. So rock on!